When people come to Venice, most often than not they are overwhelmed by the huge amount of fake Chinese souvenir shops, which the city is filled by. Fake cheap Carnival masks, horrendous plastic little gondolas, cheap and ugly FAKE Murano glass: a sea of rubbish, a mass of junk which people only buy because they are cheap. Tourists have totally lost the idea of what bringing a souvenir home from visiting a beautiful spot on earth really means! I am pretty sure, you all remember the days when visiting a new location meant purchasing local hand crafted items, which would then be given as gifts or would proudly sit on display in the various parts of our home. Surprisingly in Venice you can still do that, if you take the time and the care to look for them. We tried to show this side of Venice with A Taste of Venice. One of these local artisans is Andrea Andreatta of Fabricharte, a bookbinder located in one of the most residential parts of Venice. 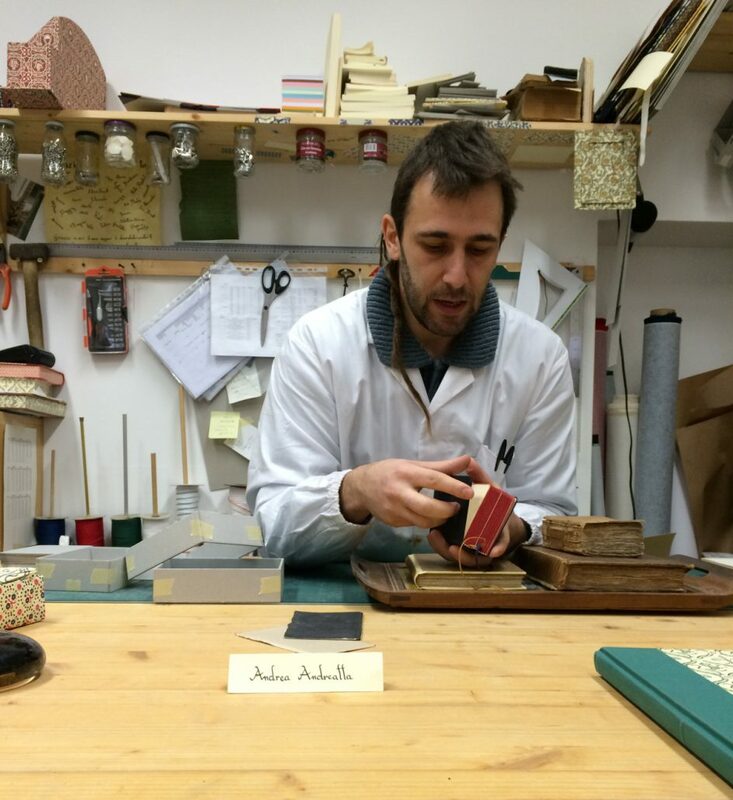 Andrea is a craftsman bookbinder, the founder of this tiny but cute binding shop, located in Castello, where he carries on the tradition of Venetian bookbinding. 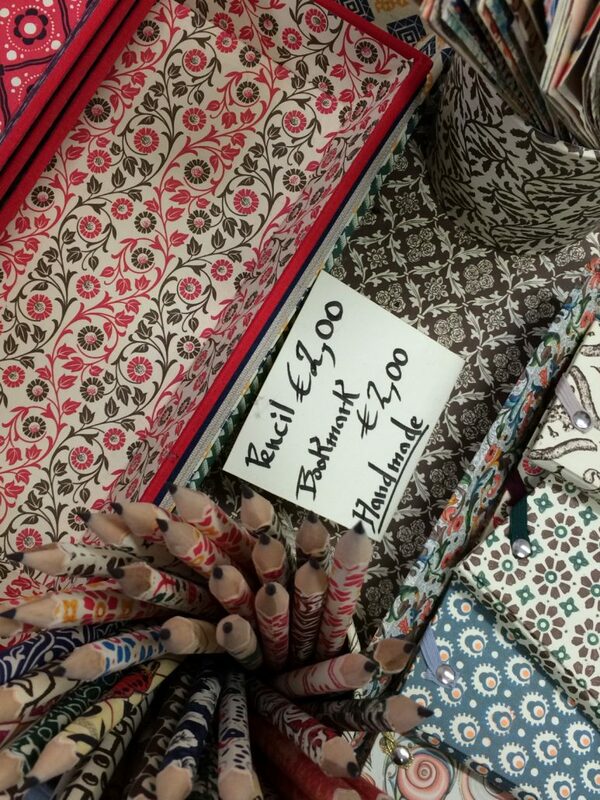 As you walk into his “bottega”, as small artisan shops like this are called in Venice, you are greeted by a huge display of exercise books, albums, diaries, address books, frames and other custom accessories, all strictly made by hand. 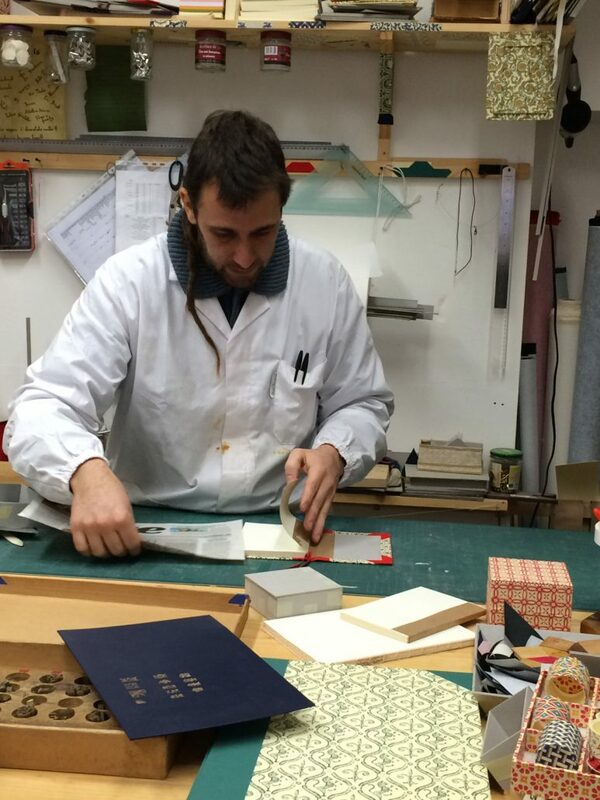 Andrea has learnt from the best Venetian master bookbinders, since bookbinding was one of the major arts of the Republic of Venice. 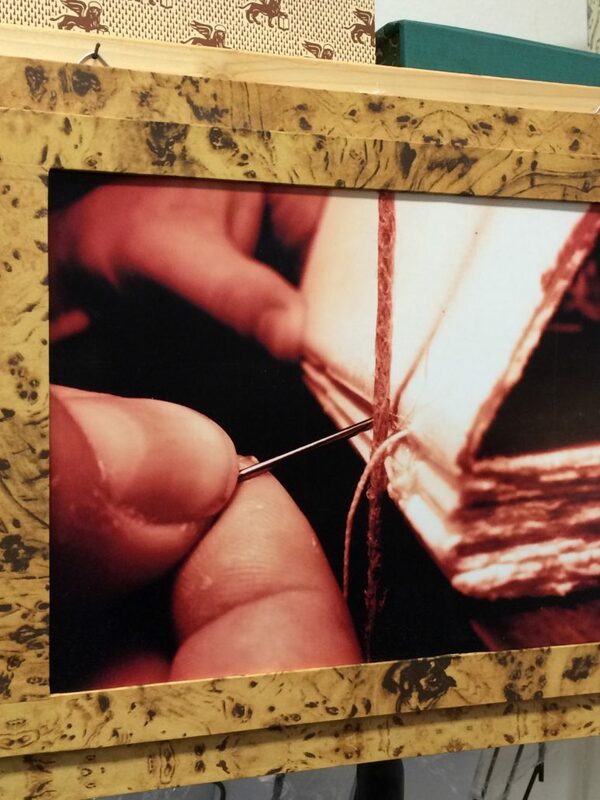 Bookbinding was born from the need to preserve old books in the best conditions without causing them damage. The binding of old books and rare books over time has turned into a real art, giving the book a more elegant and sometimes even more valuable garment. The first form of binding is considered the cord that kept united the primitive wooden or ivory tablets. But to speak of real art of bookbinding and of bookbinders in general, we have to wait until the book took the form of a code, with a set of stitched sheets, all covered with an outer cover. The binders gave rise to increasingly real works of art, where they even put their own signature, thus developing the bookbinding art, which later reached significant peaks in terms of value and elegance. Towards the end of the XV century, in Florence, the first golden applications (doratura) were used, which developed mainly in the following century, especially in Venice. Here the local binders were inspired by the Persian bindings, imported by the Venetian merchants in their travels, introducing the use of “Moroccan”, i.e. goatskin subjected to special treatment. 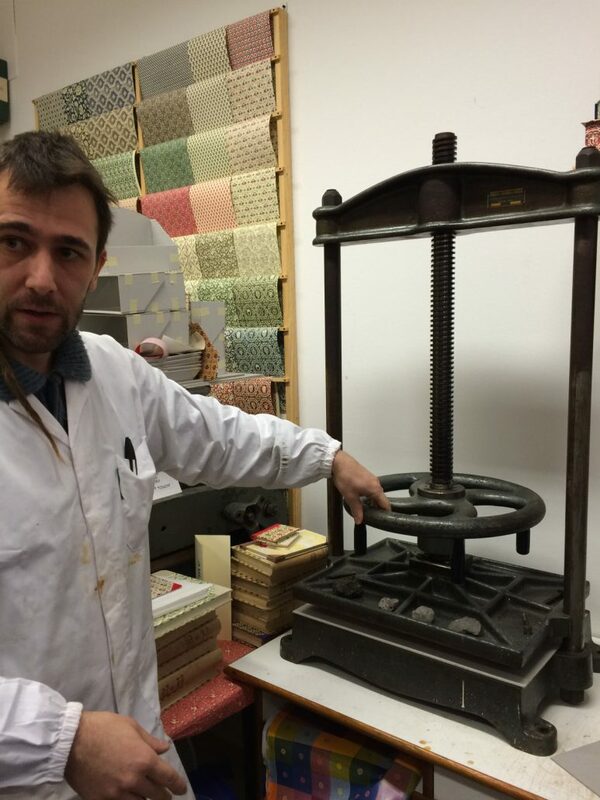 The Venetian bookbinders, began to use, instead of wooden boards, some paper plates, obtained by pressing several sheets of paper, to reduce the volume weight. 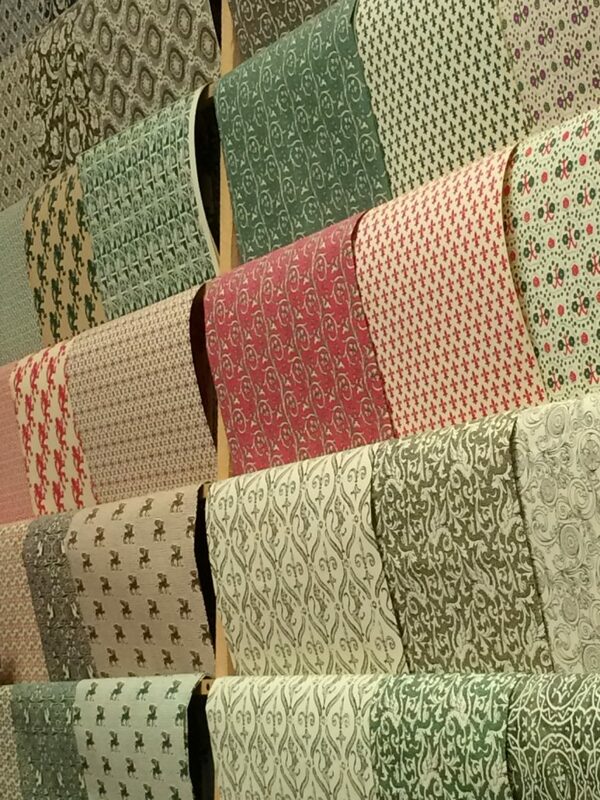 In many cases they used scraps of previous ancient books to make new ties. In Italy the best works came from the workshop of Aldo Manuzio (Aldus Manutius) in Venice, whose influence soon spread all over the north, especially on ancient books of small size, today called pocket sized. But let’s Andrea explain how he came to love this art. Introduce yourself to our readers: who is your company and what does it do? 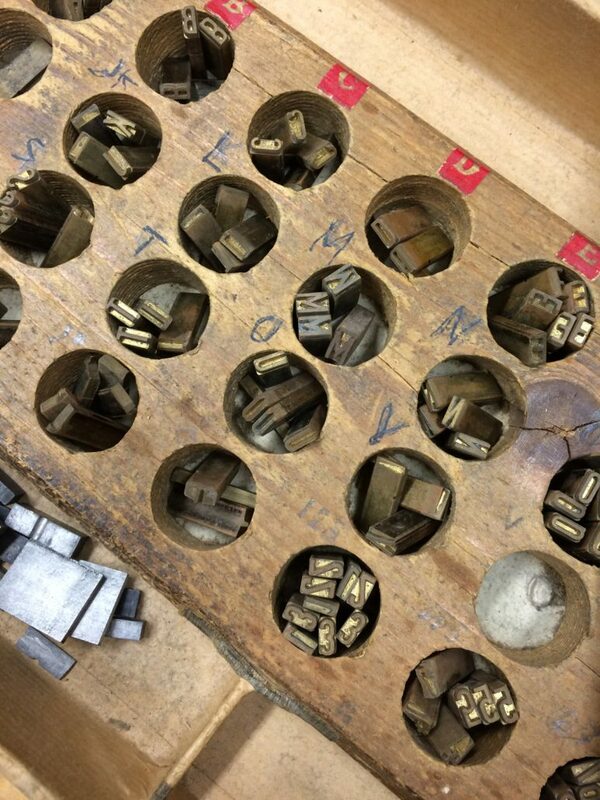 Fabricharte was born in 2013, for the love of Venice and media print. Venice, from Aldo Manuzio onwards, has represented an important point of reference in global bookselling production. 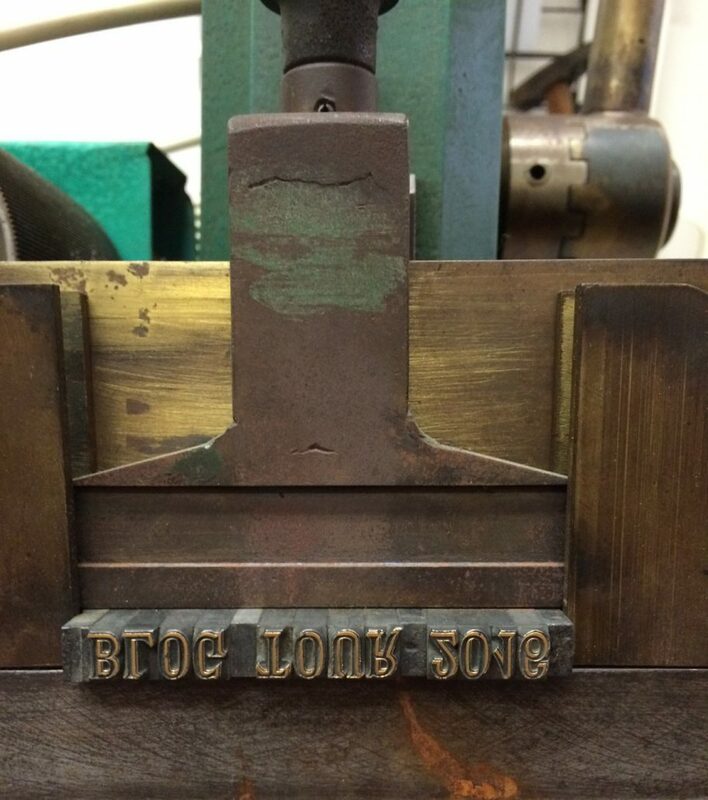 The history of Bookbinders evolves hand in hand with the history of books and in Venice we can see the highest of its technical and art expressions. Today the tradition of Bookbinding in Venice is getting lost: a bit due to the fierce competition of technology against the printed paper, a bit due to mass tourism that “prefers” to purchase other types of items. This is why I chose this job: to preserve from oblivion the techniques and the art of Venetian Bookbinding, learning all the secrets from the elderly Masters (very few) that still operate in Venice; to return a service to the city, that of binding and repairing books; to get people to discover this semi-disowned art in which Venice excelled in the world, becoming an icon like the famous art of glass and the production of fabrics. Fabricharte’s characteristic imprint is the great care and attention to detail. The whole production is completely manual, and the entire process is performed in the workshop. The products are made only by natural and first quality materials. The design is tailor-made to customer requirements, each item is totally customizable in shapes, colors, decorations and accessories. We also accept orders through Internet and deliver all over the world. How long have you been operating in Venice? I have been in Venice since 2013. Before in San Maurizio area (San Marco), then Castello. I love the quiet areas, where you can work in peace without the frenzy of hit and run tourism. What do you love the most about Venice? Tranquillity. Except for the usual famous places (Rialto, San Marco, Strada Nova …. ), Being able to walk in peace, with no cars or frenzy. Venice is a city suspended in time and space. Here everything flows with a different time, on different distances. And I realize that every time (and only) when I go away from Venice. I come from a small valley in Trentino, I could not bear to live in the city. Venice is the only exception, because it is unique. What would you change in Venice? As often happens, what you would like to change in a place is the people. Venice needs to be loved, unfortunately it is only exploited and mistreated on a daily basis. I do not think that the problem is the tourists, not even mass tourism (it is yet another escape goat), but those who live there and who run the city. A city lives if it is inhabited, however it annually loses more and more inhabitants. The houses die, the city dies. At this rate, and without any intervention at the administrative level, in a few years it will be a Disneyland, which opens in the morning and closes at night, dead and soulless. The Venice I do not like is the district of San Marco, dead and soulless if not the touristy one. The Venice I like is the Castello area, a living area, with the children playing in the squares.